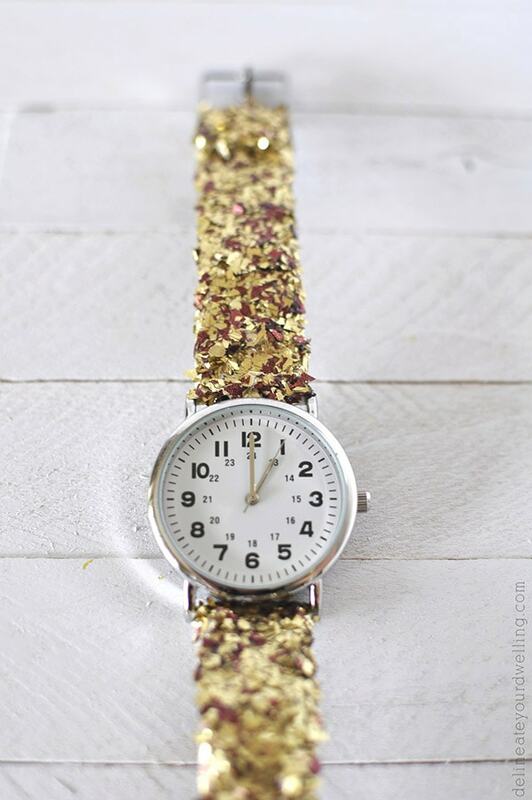 INSIDE : Learn how to make an Easy DIY Women’s Glitter Watch. 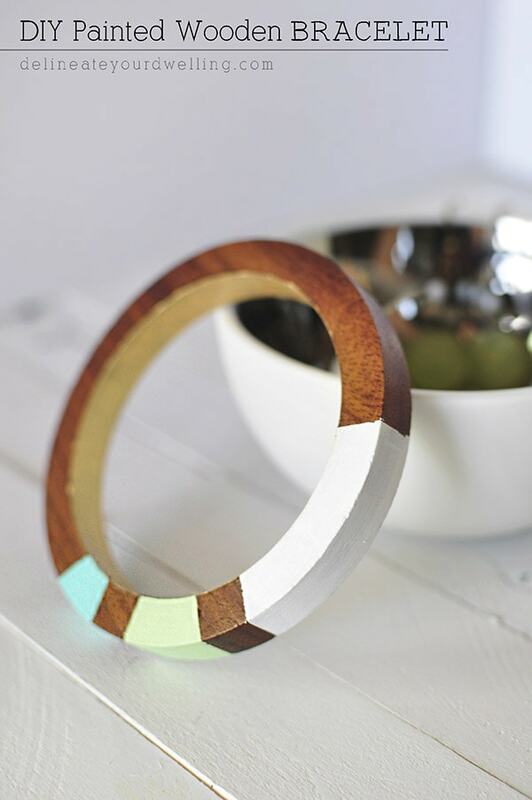 It is the perfect simple craft project you can make for a gift idea or just a fun night on the town. I don’t know about you, but warmer weather always makes me want to dress up a bit more. Even with a casual summer maxi dress, it’s fun to add necklaces or bracelets to the outfit mix. 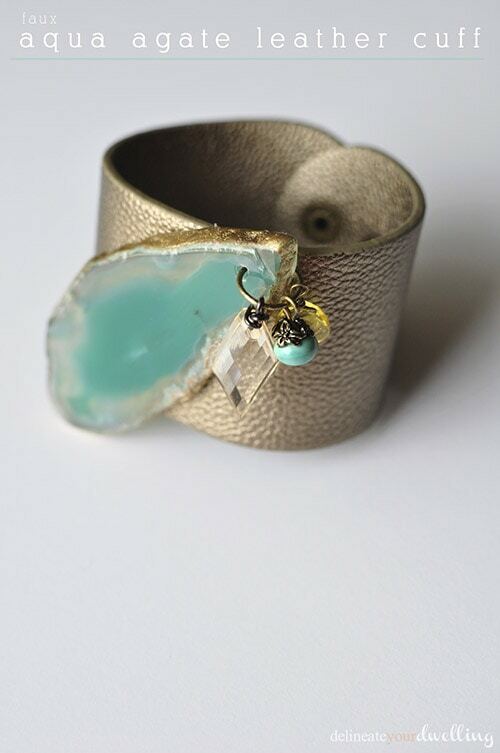 So, I am sure it is no surprise but I just created an EASY jewelry DIY to share! 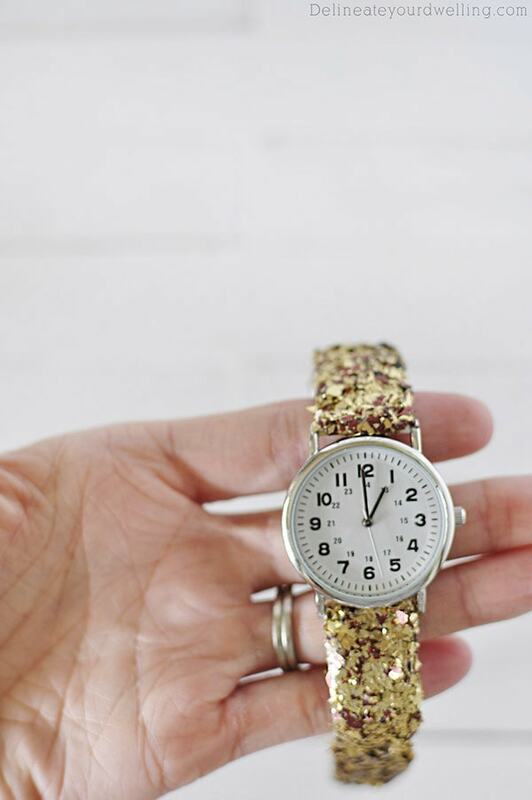 Today I am really excited to share my sparkly DIY Glitter Watch. It’s a fun way to add a little sparkle into your everyday look, too. What supplies do I need to make a Women’s Glitter Watch? 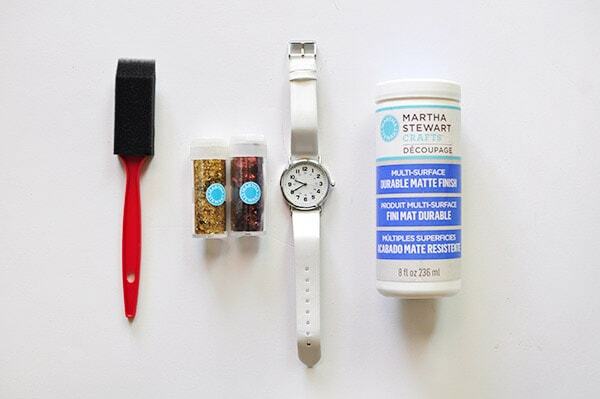 The first thing you need to do is cover the watch band of your watch with a generous layer of decoupage. Next, set your watch on a plate and cover it in glitter. The plate helps corral and collect fly-away glitter and no matter how hard you try, there will be lots of fly away glitter! After your first coat of glitter has dried, shake off all excess. Then, combine the gold and copper glitters along with a large portion of decoupage in a cup. I used a plastic fork to mix them all together. Brush this thick mixture over all areas of watch band and allow to dry, again. After that layer has dried, go back over any remaining bare spots with the glitter mixture for touchups. Apply one final coat of decoupage over all the glitter on entire band and allow for 24 hours of dry time before use. Don’t be alarmed at the white coloring the decoupage gives the watch band. It dries clear! I later saw that there is a Kate Spade Glitter Watch that sells for around $300. My glitter watch came in roughly around $12, what a deal! I also have had questions about if you could apply this same craft concept and make a Glitter Apple Watch band – honestly I don’t see why not! As long as you keep clear the areas on the Apple band that sense your wrist, you should be able to add glitter to their band. So pretty and fun! Who doesn’t love glitter? Yay! Be sure to send me a picture if you glitter it up! Wow, I love this! 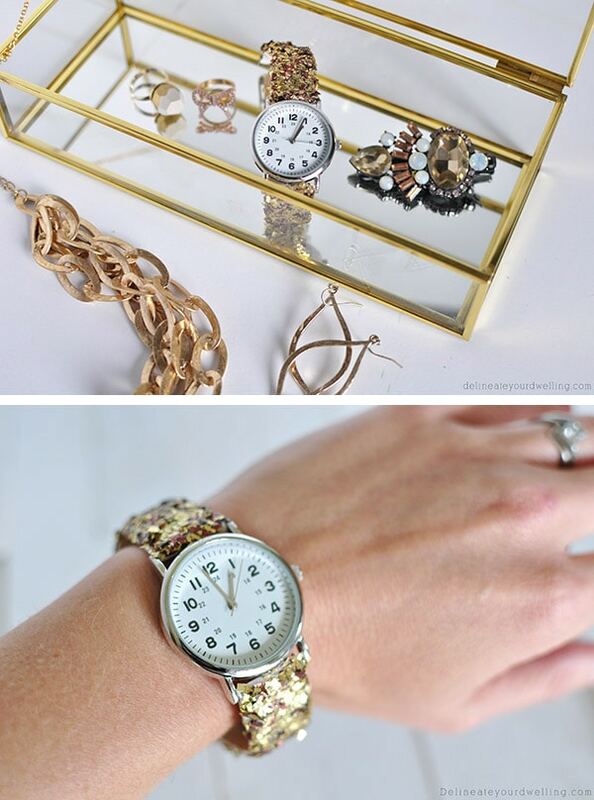 What a cool way to take a cheap or old watch and give it new life. Thanks for the great idea! This is SO awesome, Amy! 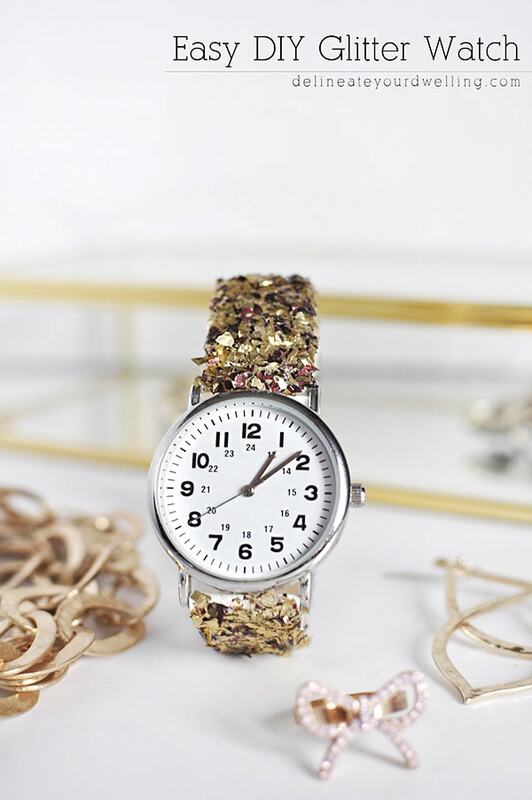 Looks a lot like a Kate Spade watch I have lusted after in the past. 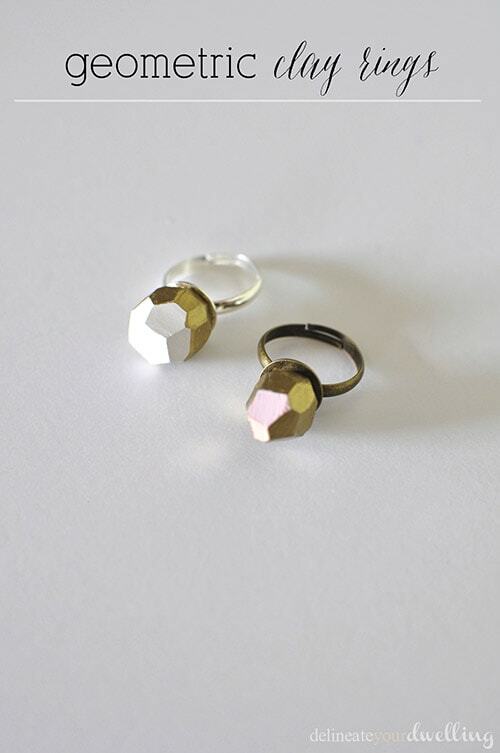 Who doesn’t love sparkling accessories? I know I do. Thank you for sharing this project. This would work really well for parties! Particularly New Years Eve. Oh yes, perfect for New Year’s Eve!! I am pretty much in love with this! I’d be worried about the glitter flaking away, but good to know that the decoupage coating does a good job of keeping it together! Emily, I think if it got everyday use it would slowly come apart… but with just occasional use, so far – so good!